I have a trip to bonny Scotland planned (Edinburgh) and am really looking forward to it as I have never been. We have also booked Greece for later in the year. Little trips, events and vacations dotted throughout the year are important for your well-being and do not have to cost a lot. There are plenty of free festivals and events throughout the summer to keep the kids occupied. When mine were little, I often used to pack a picnic and go off into the countryside for the day. The planning and run up can give you the feelgood factor, especially if you're in the middle of a hellish shift at work. Has anyone got any holidays planned? Lake District in a few weeks, taking pooch, same for Yorkshire Dales and Scotland breaks later in the year. Also doing Barbados for our wedding anniversary in October half term, not sure where for summer yet. Cleopatra wrote: I have a trip to bonny Scotland planned (Edinburgh) and am really looking forward to it as I have never been. We have also booked Greece for later in the year. I thought you'd already been and gone and done it My one regret in all the years I lived in London, was never finding the time to explore at least a bit of Scotland - especially the West coast. Scotland really is a sight to behold. Breathtakingly beautiful. I got my way and hotel it is. I am one of those tourists who Ooh and Ah and get in everyone's way. My daughter has done an itinerary , which will barely give me time to breathe. Just saw you are dreaming, stick it on your bucket list! I really hope you do fulfil your chance of getting to the Caribbean, once you've been you'll want to go back. My Mammy and Daddy went, and loved it, the next trip they went and brought a villa. So we all go out and use it. My savings are still going toward residence applications in 2 years, but we might start doing small excursions as ramblers. Nucks wrote: My savings are still going toward residence applications in 2 years, but we might start doing small excursions as ramblers. Bloody scandal that we need to pay for them now. My H.O stamp is still fine but advised to get BRP before my stamps fades beyond recognition! Another money making scheme put in with Brexshit. 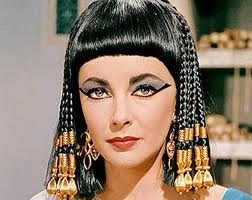 Cleo? When you're up here, make sure to visit the hidden streets. Mary King's Close is one of the tours. You go in through the Council Offices. Some good storytellers there, so good that the old couple next to me were engrossed in the talk of hauntings, so I reached around the man's back in the gloomy room, and gently tugged on his raincoat! You saw the blood drain from his face, and then him frantically telling the wife some ghost had just pulled at him! How I kept my face straight I'll never know!!!! St Lucia is something I’ve often thought about too. Just finished a holiday in Costa Rica, lovely place. We saw loads of wildlife including a sloth that you could almost touch, most of the time the were up in the trees. One place had howler monkeys and white face monkeys in the grounds, I nearly had my bag snatched by one. Lots of really pretty birds but despite hearing them we did not get to see a toucan.